Rotator cuff injuries are among the most prevalent and poorly delineated musculoskeletal problems facing orthopedic surgeons. 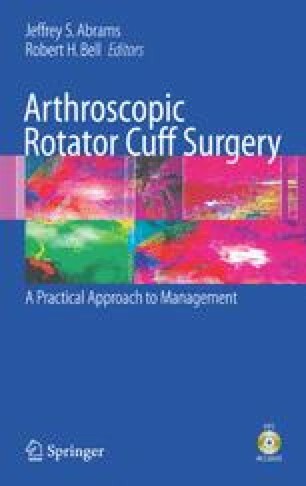 Cadaveric studies of asymptomatic individuals have shown the prevalence of rotator cuff tears to be between 30% and 50% and this prevalence increases with age.1,2 Occupational injury of the shoulder, and of the rotator cuff in particular, is second only to neck and back pain with regard to frequency of presentation.3 The critical functions of the rotator cuff underscore the need to understand the basic biological and mechanical features that shape the healthy rotator cuff and their roles in injured and healing tendon. This chapter provides an overview of these factors as they relate to healthy, injured, and healing rotator cuff.